Gregory Bonito is an Assistant Professor at Michigan State University. His research spans fungal biodiversity, systematics, ecology and evolution. Greg’s research leverages classical, molecular and emerging tools. Greg grew up in North Carolina and earned a BS in Ecology at Appalachian State University in 1998. His interest in mycology was awakened through undergraduate research with Dr. Coleman McCleneghan on Ganoderma. 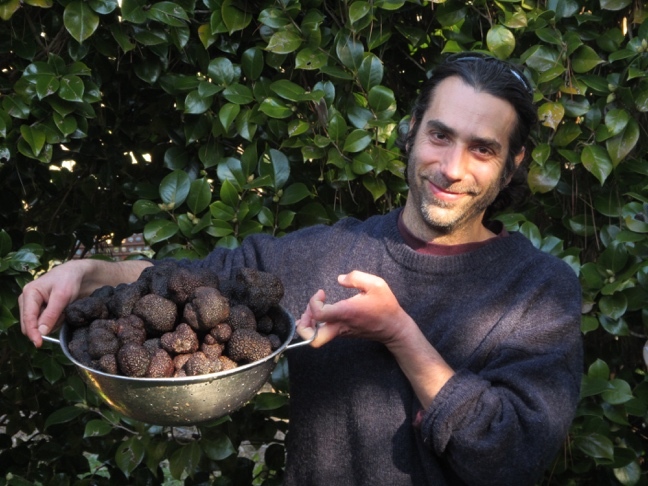 Greg earned an MS from University of Georgia, Athens in 2001, and a PhD from Duke University in 2009 working on truffle (Tuber) phylogenetics and systematics under Rytas Vilgalys. Greg remained in the Vilgalys lab for his Postdoc, isolating and characterizing fungi comprising the Populus rhizobiome. In 2014, Greg moved to Melbourne Australia, where he worked as a Mycologist at the Royal Botanic Gardens alongside Teresa Lebel and Tom May where he conducted research on Austroboletus and tropical Australian fungal diversity. In 2015, Greg started as an Assistant Professor at Michigan State University, where he is researching intracellular bacteria of Mortierella fungi, fungal symbioses, and plant microbiomes. Greg continues research on fungal systematics and has described many new genera and species of mushrooms and truffles. He has even had truffles named in his honor. Greg joined the Mycological Society of America in 2004, and has served the society by publishing and reviewing research articles in Mycologia and by co-organizing pre-conference workshops in 2017 and 2018.